"In our course we get to learn a lot of theory, so getting to put that theory into practice with elite athletes is a pretty special experience." Develop an understanding of the basic concepts and sciences of the role physical activity plays in the health of individuals and communities. This course will prepare you to work as exercise scientists, sport scientists or to pursue research or professional/allied health with postgraduate studies. You learn a wide range of human life sciences, including biology, biochemistry, anatomy, physiology and psychology as well as their practical application. Practical placements will help you gain the knowledge and skills to provide assessment, monitoring and program prescription for fitness and exercise in a diverse range of populations from healthy adults to elite athletes. As a graduate you may find employment in the private and public sectors or you may also be able to pursue research in exercise science and apply for post-graduate study in areas such as sports science, clinical exercise physiology, physiotherapy, and medicine. This is a 3 year course based in Launceston, Tasmania. The Bachelor of Exercise and Sport Science provides graduates with the knowledge and skills to gain accreditation as Exercise Scientists with Exercise & Sports Science Australia (ESSA) and is undergoing accreditation by ESSA at Exercise Scientist level. 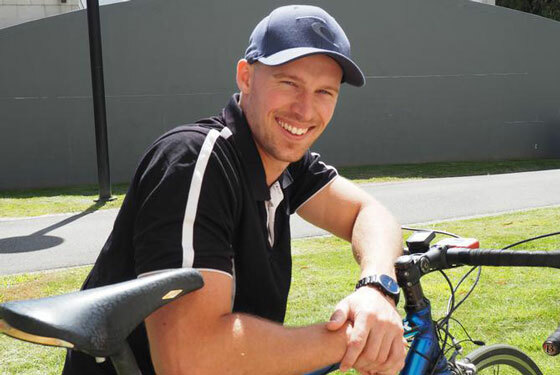 The Bachelor of Exercise and Sport Science prepares students to work as exercise scientists, sport scientists or to pursue research or professional/allied health focussed postgraduate studies. 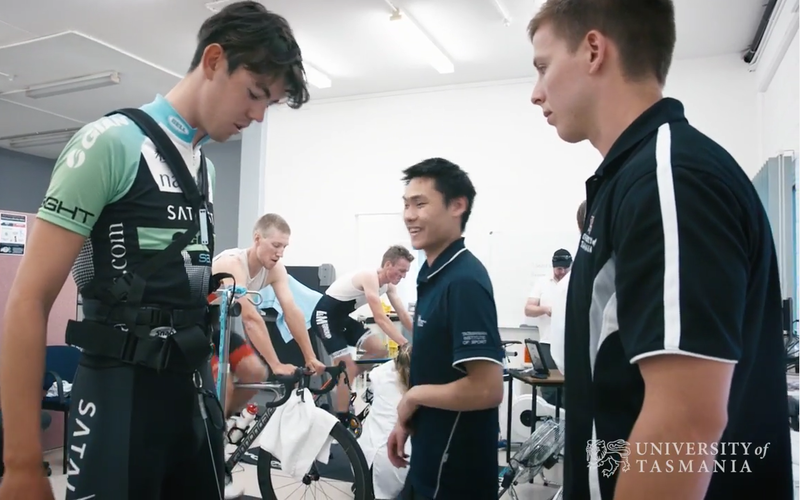 The Exercise Physiology Clinic in Launceston provides practical educational experiences for our students. Under professional supervision, students undertake exercise assessment, prescription and counselling services to individuals who have been referred by their General Practitioner under a Chronic Disease Management Plan. The Clinic also runs group classes in Cardiac Rehabilitation, Pulmonary Rehabilitation, and Therapeutic Pilates. Practical placements help you gain the knowledge and skills to provide assessment, monitoring and program prescription for fitness and exercise. You will work under professional supervision with experienced industry partners including gyms, sporting organisations, private practice clinics, hospitals, local health districts and aged care facilities. This gives you the hands-on practice that employers value and actively look for in graduates. "Don’t rule out anything or think you can’t do it – look at me, I’m 27 and I took the leap to come back to uni and all these opportunities have come my way." Graduates may also be able to pursue research in Exercise Science or apply for post-graduate study in areas such as sports science, exercise physiology, physiotherapy, and medicine. Students interested in pursuing a career in teaching may continue their studies with a Master of Teaching. Plus tertiary or TAFE science qualifications (minimum AQF level 3) considered, case-by-case, by Course Coordinator. All students enrolling in College of Health and Medicine programs which include a professional experience placement component, laboratory and/or field activity are required to establish and maintain their capacity to practice safely via Safety in Practice Requirements compliance documentation. The College of Health and Medicine assesses student compliance in accordance with the Safety in Practice Compliance and Risk Assessment Procedure. Without this documentation, students may be excluded from participating in their course. The exceptions are the Working with Children Registration and Immunisation Record Card check, which must be completed 4 weeks prior to first placement. Advanced Standing for appropriate studies completed at TAFE and/or other university courses may be granted. You can apply for advanced standing as part of the application process, or it can be assessed independently via a separate application. This course articulates to 54C Bachelor of Exercise and Sport Science with Clinical Honours, and M4H Bachelor of Health Science with Honours. If you meet the minimum ATAR but haven't completed the required prerequisite unit(s), we offer Foundation Units to help you bridge the gap. These are offered at no cost to you (HECS-waived) and many run in spring and summer school so you can meet a prerequisite and not delay the start of your Bachelor level studies. If you do not meet the ATAR, or you are a mature age student and do not meet the General Entry Requirements, you could consider enrolment in the Bachelor of Health and Community Care. This degree offers pathways to becoming an employable graduate in various health related fields or as a pathway to access other health courses. Please contact us for further information. 2019 Total Course Fee (international students): $100,797 AUD*.